We recently announced our keynote speakers for October 13th: Åsa Nyström and Sitar Teli. Aygul Zagidullina (Google Developer Expert (GDE) for Assistant) - 'Leaving No One Behind: Building Apps for The Next Billion Users' - The future of the Internet is in the hands of the next billion users — the latest generation of internet users to come online on smartphones in places like Brazil, China, India, Indonesia and Nigeria. As time goes on, the average internet user will be more like these “next billion users” than the first billion who started on PCs. That means we need to look not just at Silicon Valley or London but to places like Sao Paulo, Bangalore, Shanghai, Jakarta and Lagos to truly understand where the internet is going. People in these countries are facing very different constraints to accessing the internet. In this talk, we’ll cover best practices, guidelines, and applied examples of how mobile developers can build their apps to be truly global and inclusive. Some things to consider: the next billion users have a mobile-only mindset, an instinct for ubiquitous computing, a demand for localised content; the Internet access in emerging markets is still slow and intermittent; 80% of people with disabilities live in emerging markets. Come and learn how to create great experiences that work well for billions of users around the world. Kate Rees (Individual and team coach, Kate Rees Coaching) - 'Role modelling vulnerability (workshop)': As a coach Kate absolutely loves what she does as she coaches individuals and teams to do what they thought impossible, and maybe a bit magical. In particular she has a passion for coaching women and empowering them to become inspiring role models, in areas where there may not be so many already visible. She believes by embracing vulnerability we can be stronger, more resilient people and leaders by building more powerful connections and empathy with others. Also by telling our own raw, real, personal stories we can inspire people as a role model where they maybe haven't found inspiration before. You will learn how you can use vulnerability to help create high performing teams, how you can use your vulnerability to be a better leader and why being vulnerable can help you be more resilient. Vini Bance (Co-Founder, Runagood) - 'How to analyse a business and raise its value (workshop)': Looking at real data from a real business the workshop will split into 6 groups (each will be one of the 6 key factors in running a business) each group will have 20 minutes to suggest 3 ways to improve this business. At the end we all decide whether to close, grow or sell the business. Emily Tate (US General Manager, Mind the Product) - 'Stuck in the Middle: Stakeholder Management for Women in Tech': Getting things done requires more than sheer force of will. It requires cooperation and collaboration from a number of stakeholders. These stakeholders often have conflicting goals, and balancing the needs of a variety of roles often feels overwhelming. To make a true impact, we have to be able to avoid simply being another person saying yes to the HiPPO in the room, or bending to the will of the squeakiest wheel on the team. This talk will discuss how to intentionally manage your stakeholders like a product, and use your skill of influence to drive the organisation in a positive direction. Emily Tate brings more than 10 years of product management experience to her role as US General Manager for Mind the Product, the world's largest community of product people. While she has worked across a variety of industries, she will always have a soft spot for the travel industry where she spent most of her early career building software for airlines and developing a leading consumer travel app, TripCase. Emily is passionate about the craft of product management and loves talking about new ways to make products people love. Fiona Vallance (Gloal Research Lead, Idean UK and Co-founder, Amble) - 'The role of research in human centred design and tech for good': Research and design have coexisted for decades but using scientific research methodologies in the design process has not always been customary practise especially when building tech products and businesses. In order to solve real world problems and meet user needs, exploratory research as opposed to user testing must be applied prior to design to really ensure successful products and businesses thrive. Additionally, when the possibilities driven by technology are greater now than ever, how can we ensure that we utilise research, design and technology to build products and businesses that are profitable and also socially responsible? This talk will address such topics and questions using case studies as evidence. Rachelle Denton (Senior Creative Strategist, BBC and Consultant) - 'How to use data to create a powerful digital campaign (workshop)': Rachelle Denton was shortlisted for a Social and Influencer Cannes Lion in 2018, and is renowned for her deep understanding of audience conversation drivers. She'll take you through the process of using data to define opportunities, and how to create a powerful creative strategy for digital campaigns (even with budget constraints). Babs Ofori-Acquah (Workplace Wellbeing Warrior, Crazy Ambition) - 'Discover your self-care non-negotiables (workshop)': Join Babs for a discussion on what self care means to you, why it’s important and how we can incorporate it into every day life. You’ll leave the workshop with a plan so that even when you’re stressed, self-care remains a (manageable) part of your routine. 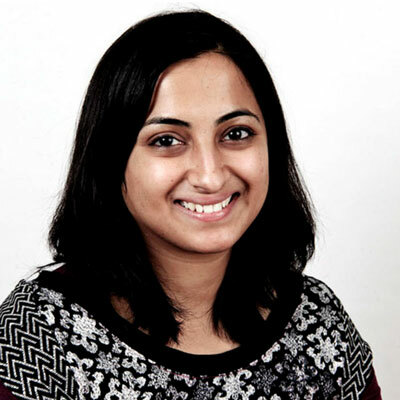 Abi Ramanan (CEO + Co-Founder, Impact Vision) - 'How can we use advanced imaging technology to build a better food system? ': 30 - 50% of the food we produce today, is wasted. That's around 1.2 - 2 billion tonnes annually. This level of waste is a tragedy that cannot continue if we are to sustainably meet our future food demands. Data has the potential to fundamentally change the way the food system operates by enabling informed decision making throughout the value chain, and this talk will focus on how hyperspectral imaging can provide this knowledge. Josie Young (Feminist AI researcher) - 'Building Feminist Chatbots (workshop)': While not all chatbots are designed with a gender, when they are represented as women the bots generally take on gender stereotypes. Thus, the idea that technology design is ‘neutral’ is a smokescreen which only serves to limit our imaginations for how this technology can be designed. Secondly, when these bots are used they end up reinforcing gender stereotypes back into society. This workshop will focus on how to design a feminist chatbot. Corinne Card (Founder, Full Story Media) - 'How to make your tech company famous (workshop)' - Former national news journalist and BrightonSEO speaker Corinne Card will lift the lid on how you can gain top-tier press coverage for your tech company on a startup budget. Mounia Lalmas-Roelleke (Research Director, Spotify) - 'Personalising the user experience and the playlist consumption on Spotify': Understanding user listening behaviour is essential for personalising music listening experiences on Spotify. 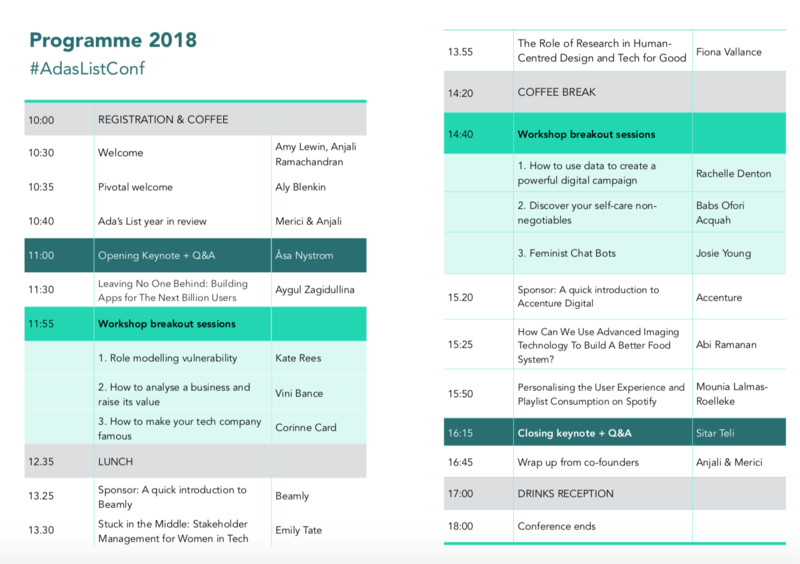 In this talk, Mounia will discuss how at Spotify they build machine learning recommenders that take into account what and how users consume playlists and the rich diversity of playlist experiences. Ada's List believes very strongly in creating an environment that is welcoming to everyone. Towards this end, we will be strictly enforcing our Code of Conduct. We recognise that it is not always easy to give up a Saturday when childcare duties beckon. For all parents, we will be providing childcare facilities. If you'd like to use this facility, please let us know in advance how many children you'd like to bring, and their ages, by emailing feedback@adaslist.co so we can ensure the right number of carers. Breastfeeding mothers need all the support they can get, and we would like to ensure they are as comfortable as possible. There will be a lactation room on site. Marissa Ellis, creator of the Diversity Canvas, will be on site, so you can contribute your thoughts on diversity and inclusion to a large Ada's List Diversity Canvas! A reminder that our conference is open to the public, for people of all genders. Ready to buy your ticket, if you haven't already? Simply head here. This conference would not be possible if it were not for the support of our stellar sponsors. We cannot reiterate how glad we are to have the backing of these companies who so strongly believe in diversity and inclusion in technology as much as we do. 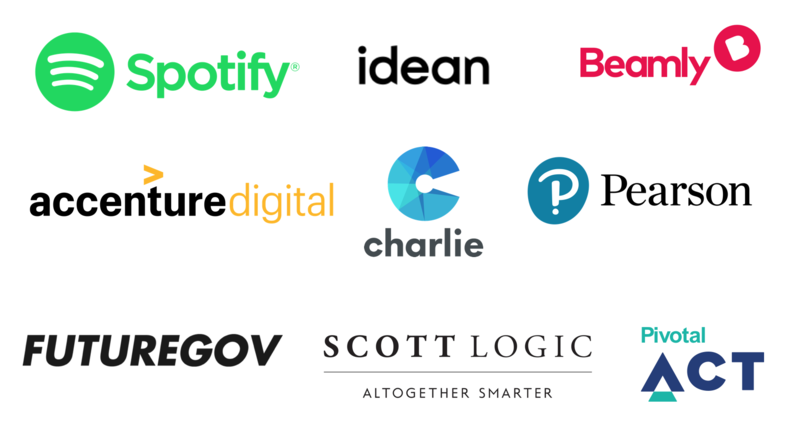 Interested in learning more about our brilliant sponsors and their open roles? Spotify is about music for everyone. They are currently hiring for a number of roles across the world, including a Principal Product Designer, Senior Mobile Developer and Senior Software Engineer - Mitigate Risk and Fraud Prevention in London. Ideanfocus on design-led transformation. They are also hiring for a number of roles across the world, especially a Product Designer, Full Stack Developer and a Senior Product Manager in London. Charlie HRhelps small companies build great places to work. They are hiring a Junior Software Developer - Ruby, a Mid-Level Software Developer - Ruby and aSenior Ruby Software Developer. Pearson are all about innovation in education. Check out Nevertheless, their podcast celebrating the women changing teaching and learning through technology. They are currently hiring a Cloud Security Architect, Senior SRE - Cloud Engineer, and Software Developer - Application Security. Scott Logicdesigns and builds software that transforms the performance of some of the world’s biggest and most demanding organisations. They are hiring a Technical Consultant and Senior/Lead Test Engineer. FutureGov designs public services for the 21st century. They are hiring for a number of roles including a Product Designer, Service Designer and Delivery Manager. Our conference this year is hosted in the wonderful offices of Pivotal, who can help you deliver exceptional user experiences. Pivotal Act is an initiative focused on partnering with organisations who are committed to addressing social, humanitarian and environmental problems with technology.